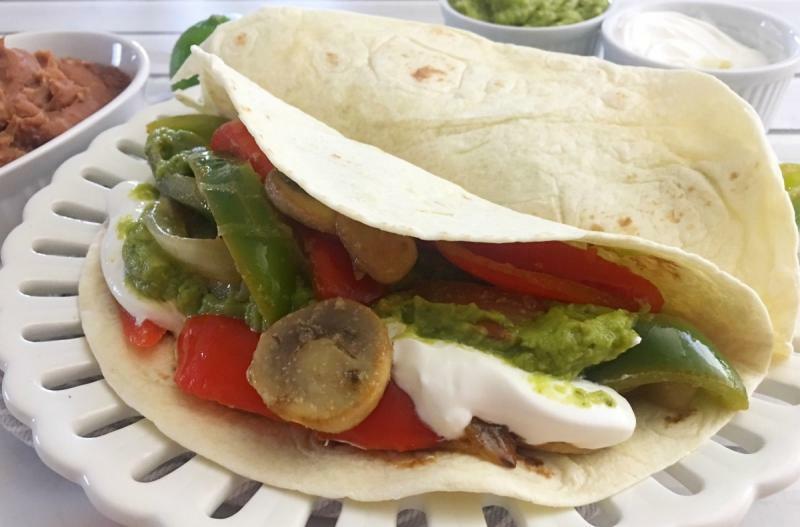 Vegetarian fajitas....made with mushrooms, bell peppers and onions...combined with the delicious TexMex flavors of lime, garlic and cumin. Serve with your favorite vegetarian toppings and some vegetarian refried beans - for a complete vegetarian meal! Seed and slice the bell peppers. Slice the onions. Halve the limes. In a large skillet, add the oil and saute the mushroooms, bell peppers and onion slices for 4 to 6 minutes, or until they soften. Squeeze the lime juice over the top and sprinkle the garlic powder and ground cumin in as well. Assemble the sauteed veggies into tortillas and add garnishes. 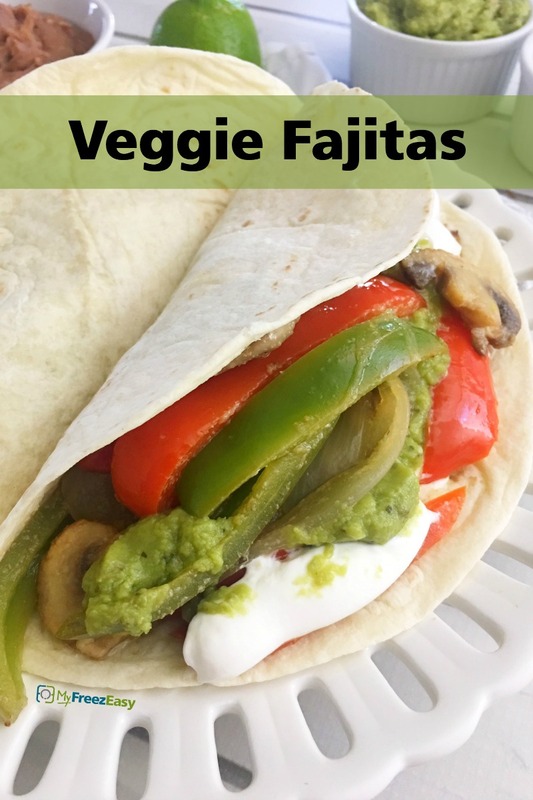 Serve Veggie Fajitas with toppings and side of refried beans. Seed and slice 2 red and 2 green bell peppers. Slice 4 small onions. Halve 4 limes. Put tray in the freezer and freeze up to 6 months in fridge freezer or 12 months in a deep freezer. Thaw in the fridge overnight, or a warm shallow dish of water for about 20 minutes, before transferring to the skillet and sauteing as directed. Recipe is dairy-free when served with dairy-free sides and garnishes. Saute the mushrooms, peppers and onions in canola oil, until softened. Assemble into tortillas with garnishes.